Coconut Extract - acts as a skin balancer while soothing and softening. 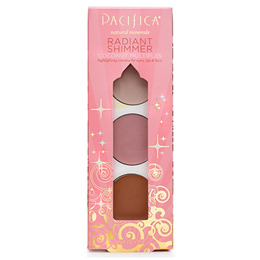 Creates a creamy, formula that supports long wear. Vitamin E - Most potent antioxidant protecting skin against free radicals. Essential for proper utilization of Oxygen in skin tissue. Acts as a natural preservative. Prevents degeneration of DNA especially when compromised by photo-damage. Safflower Oil - Derived from safflower seeds; an emollient high in oleic acid, nourishes, protects and firms. Ethylhexyl palmitate, silica, mica, caprylic/capric triglyceride, helianthus annuus (sunflower) seed oil, ozokerite, copernicia cerifera (carnauba) wax, euphorbia cerifera (candelilla) wax, cetyl palmitate, carthamus tinctorius (safflower) seedoil, parfum (all natural), tocopheryl acetate (vitamin e), macrocystis pyrifera (brown kelp) extract, cocos nucifera (coconut) fruit extract, tin oxide, Titanium dioxide, iron oxides. Apply to face at anytime. 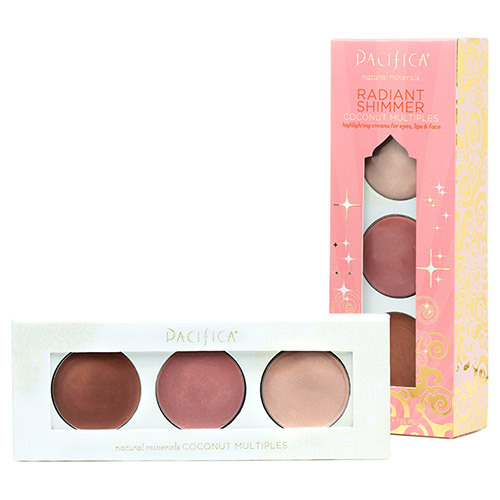 Below are reviews of Pacifica Radiant Shimmer Coconut Multiples by bodykind customers. If you have tried this product we'd love to hear what you think so please leave a review. You will absolutely LOVE these! 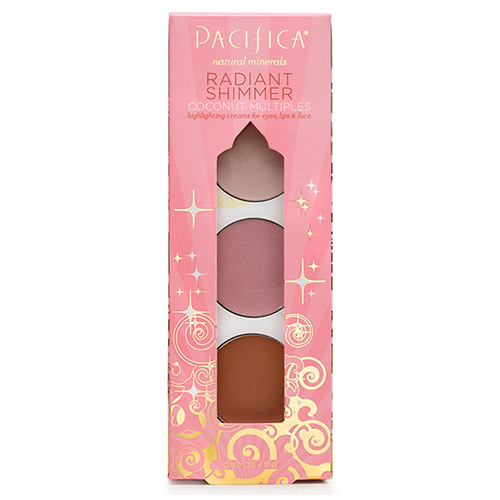 Coconut infused multi-use creamy colors for cheeks, eyes, lips and even your body are housed in a magically decorated palette. Create shimmering highlights, glowing illumination and beautiful contours.